The BUUF Board of Directors is initiating an absentee voting process as allowed by our by-laws (article IV section 7b). We want the flexibility to be responsive to the issues of our time and the business needs of this Fellowship beyond the mandated annual meeting in May. Recognizing the many commitments and time constraints in our lives, we worked to find a process that allowed for input and discussion free from the quorum requirements of an in-person meeting (the absentee vote itself will still require a quorum of votes). If you have any questions after reading this page in its entirety, please contact our board president Harriet Shaklee. This first time around, the absentee ballot will only include two Social Justice resolutions (draft language included below). It is possible that other resolutions and business items might be included in future absentee ballots. 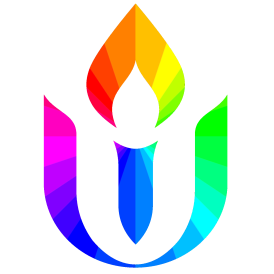 The board, with support from the Social Justice Council, will host a Congregational Gathering on Sunday, February 10 from 1:00pm – 3:00pm to facilitate discussion, feedback, and amendments for each of the resolutions. Lunch will be provided by the board and childcare will be available. This gathering is the opportunity for you share your input and suggest changes. Members of the Social Justice Council will be available to answer questions and facilitate discussion of each resolution. The assembled participants will be invited to take a straw poll on each of the proposed changes. It is our intention that before we leave the gathering all participants will know what changes to expect in the final drafts when voting begins. The final draft of the resolutions (with incorporated changes form the gathering) will be presented to the Board of Directors at their regular February 21st meeting (per our by-laws, the board determines the final wording of the resolution). We will primarily use an online voting program you can access through your individual email. Paper ballots will be available on Sundays, at the office during the week, and can be requested to be mailed directly to you. Voting will begin on Saturday, February 23rd and close on Sunday, March 3rd at midnight. The final draft of the resolutions will be sent via email with the link to the online ballot. Members of the Social Justice Council will be available at each service to answer questions about the resolutions and to assist with online voting. Paper copies of resolutions and the ballot will be available on Sundays, in the BUUF office, or by mail (if requested). While all are encouraged to be part of the discussion and feedback gathering, only members may vote. If you are considering becoming a member (or aren’t sure), please contact Tess Veto, Membership Coordinator. A quorum of votes (20 % of our membership) will be required for the vote to be considered valid. In order for each resolution to pass, a majority of that quorum must vote in favor. 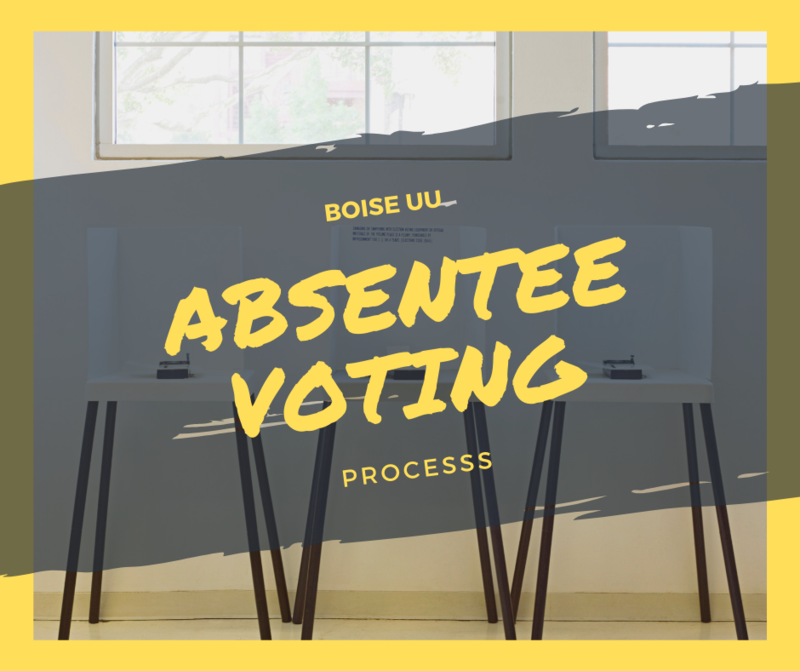 This new absentee voting process is an experiment; an opportunity for this fellowship to try something new. Your board is taking an innovative approach to considering and passing resolutions after calling a fall congregational meeting and failing to reach a quorum. Recognizing the competing demands on our time and the opportunities of technology, we asked the question, how can we invite feedback and discussion from those most interested in the issue(s) and make it easy for the full membership to vote? We are asking for your trust and support to try this new process with us and help us refine it for the future. If you have any questions, please contact our board president Harriet Shaklee.